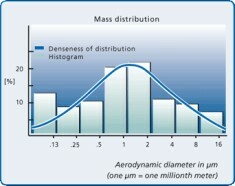 The concentration of the aerosols and their size distribution is significant to the action of inhalators. The latter decides where the aerosol is deposited. While very large particles are mainly deposited in the nasopharyngeal cavity, smaller particles reach the tracheo-bronchial area. The very smallest penetrate into the alveoli. 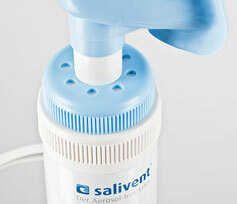 [...] The salivent® device creates a respirable fine aerosol with a mass median between 1 and 2 μm. With intermittent use as well as the inhalation done, the dispersion is more effective and there was a mean therapy-relevant respirable saline concentration of 690 μg/ m3". Tested and confirmed: Medical studies. How long and how often should I inhale to feel improvement? We recommend at least inhaling 2-3 times a day depending on the illness. You can use the device as often as you like. An overdose is not possible. Why can't I see any steam? This is not an electric vaporiser where steam flows out but rather a self-active inhalation, i.e. the device first becomes active through the force of the user's lung activity. Can other salts be inhaled? Basically, yes. For optimal healing however, we recommend the salt we enclose with the product. The particle size and type of salt are the decisive basic requirements for a 100% effect. What are the holes and the rotatable ring used for? The holes regulate the aeration. The more holes opened, the simpler the inhalation. A practical aid especially for people with weak lungs such as children, older or acute sufferers. Why does the salivent aerosol inhalator work so well? The inhalation of saline vapour (aerosol) has long been known to actively support the healing process. 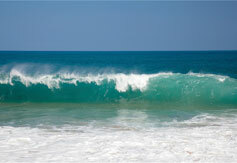 Aerosol particles are saline micro particles like those found at the ocean at a wind force of 10. The inhaled aerosol promotes the mucous or secretion formation simplifying expectoration and stimulating a natural self-cleaning mechanism of the body. Another valuable effect of salt is its anti-inflammatory action. Can children use the salivent aerosol inhalator? Yes, it is a very child-friendly device because there is no noise, it is easy to handle and can be used anywhere. The mask is suitable for children 4 and older. For press questions, other information and materials on the salivent® aerosol inhalator, please contact us at info@salivent.de or call our salivent® Team.